If past years are anything to go by, BookTrust will soon be encouraging people to suggest candidates for the next Children’s Laureate. The current laureate Chris Riddell has worked wonders in the role, energetically waving the banner for children’s literature with one hand while deftly drawing an endless stream of characterful illustrations with the other. When Riddell first took on the Laureateship he announced that his focus would be to “use the immediacy and universality of illustration to bring people together and lead them all into the wonderful world of books and reading, whilst championing creativity in schools and beyond”. Illustration was also the focus of Quentin Blake and Anthony Browne’s laureateships, while other laureates chose to focus on other areas that play a key role in engaging young readers including poetry, storytelling, performance, the importance of libraries, daily reading and parents reading aloud. However one key area of children's literature that has yet to be championed by a laureate is children’s non-fiction. 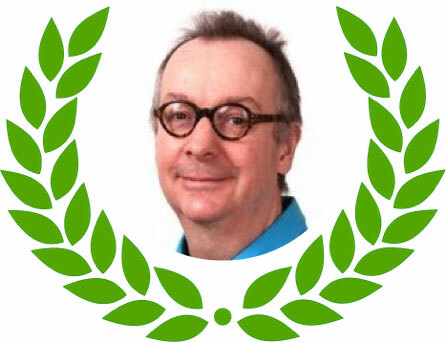 So I’d like to suggest that the tenth Children’s Laureate should be a non-fiction author or illustrator. Some of the non-fiction books that helped turn me into a lifelong reader. I’m principally a fiction author but, like many children of my generation, non-fiction played a critical role in establishing my reading habit and turning me into a lifelong reader. When I was growing up in the 1960s and 70s the children’s sections of bookshops and libraries were as well stocked with non-fiction titles as they were with storybooks. 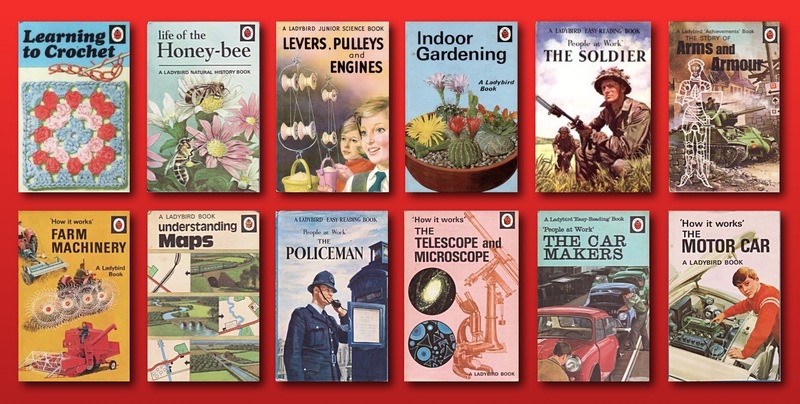 Mainstream publishers like Ladybird excelled at publishing books that reflected the most obscure childhood interests and enthusiasms, from crochet to car mechanics. By responding to the breadth and diversity of children’s interests in this way, non-fiction books were often able to engage the reluctant readers that fiction could not reach. From crochet to car mechanics, publishers like Ladybird excelled at reflecting the breadth and diversity of childhood interests. The children’s book market has changed a lot since then. It’s now far bigger, and far less balanced in terms of fiction and non-fiction. While children’s books about crochet and car mechanics are still being published, a child interested in either – or any other non-mainstream non-fiction topic – is far less likely to discover them in a landscape dominated by children's fiction. Non-fiction has become the Cinderella of children’s publishing and many children who might otherwise have become readers are turning their backs on books because of this. There is a growing acceptance of the need to redress the balance and promote children’s non-fiction more effectively. Campaigns like FCBG’s Non-Fiction November are already helping to do this, but there is still a long, long way to go. Appointing a non-fiction author or illustrator as the next Children’s Laureate would provide an invaluable boost to the profile of children's non-fiction and represent a huge step in the right direction. And many children that are initially hooked into reading by non-fiction go on to become avid fiction readers, so appointing a non-fiction Laureate could benefit children's fiction too. I’ve been asking around for the names of non-fiction authors and illustrators who might make a good Laureate and some of the suggestions I received are shown below. It’s not meant to be a comprehensive list and I don't know if any of these people would be willing to take on the role, but I'm hoping it will help to set the ball rolling on a debate about who might fit the bill. Nicola Davies is a zoologist and one of the original presenters of the BBC children's wildlife programme The Really Wild Show. Her books include A First Book of Nature, illustrated by Mark Herald and Poo: A Natural History of the Unmentionable, illustrated by Neal Layton. Anita Ganeri is the author of the award-winning Horrible Geography series including Planet in Peril which won the Blue Peter Book Award - Best Book with Facts 2009. Her other books include The Explorer’s Handbook: How to Be the Best Around the World. Richard Platt is the author of Pirate Diary, illustrated by Chris Riddell, which won the Blue Peter Book Award - Best Book with Facts 2003. Incredible Cross Sections, illustrated by Stephen Biesty, was selected by the Guardian as one of the three greatest children's books of the 90s. 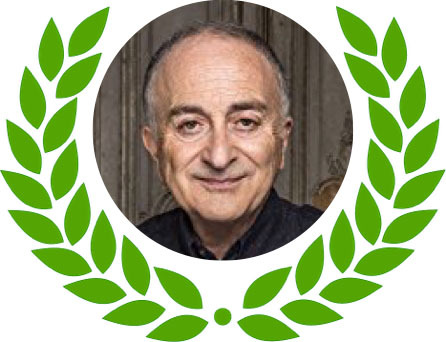 Tony Robinson came to fame playing the role of Baldrick in Blackadder. He has won the Blue Peter Book Award - Best Book with Facts award twice, for The Worst Children's Jobs in History, illustrated by Mike Phillips in 2007 and for Weird World of Wonders: World War II, illustrated by Del Thorpe in 2014. 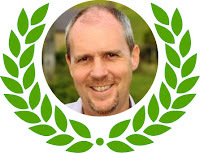 Andy Seed is the author of The Silly Book of Side-Splitting Stuff, illustrated by Scott Garret, which won the Blue Peter Book Award - Best Book with Facts 2015. His other non-fiction books include The Anti_Boredom Book of Brilliant things To Do, also illustrated by Scott Garret. If you have any more suggestions, I’d love to hear them in the comments box below. 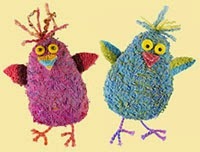 You might find some names you'd like to suggest on the NIBWEB children's non-fiction website. 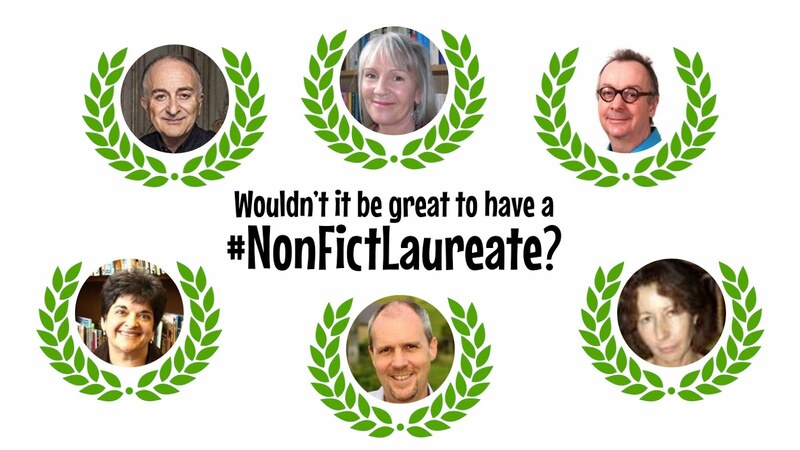 If you’re on Twitter or Facebook, you could also tweet your suggestion for a possible non-fiction laureate using the #NonFictLaureate hashtag. With a bit of luck, we might just persuade the Laureate selection panel to appoint a much-needed Fairy Godmother to this Cinderella of children’s books. Although Jonathan Emmett has written a few non-fiction books, he is very lazy and so tends to write books where he can get away with making things up. 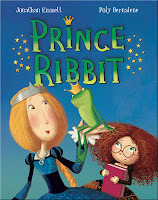 His latest picture book Prince Ribbit, illustrated by Poly Bernatene, is the entirely fictitious story of a non-fiction-loving princess and a very cunning frog. Yes, I'm on board, Jonathan, it's time for a non-fiction Children's Laureate! Thanks, Jane. Most people I've heard from have been very supportive of the idea. I think this is a terrific idea, and not just because you mention me (for which I'm flattered - thankyou). It's good because it would really help to raise the profile of children's non-fic books and in doing so ultimately promote reading for pleasure. There are still a great many kids who prefer reading factual books and huge numbers of reluctant readers for whom snappily-designed and well illustrated non-fiction can be the hook which captures them. Thanks, Andy! That's a great piece. I agree! A few other suggestions are Terry Deary, John Malam and Fiona MacDonald. Thanks for the suggestions, Rebecca! Terry Deary is problematic. I’ve been running suggestion of a non-fiction Laureate past people for a few months now and Terry Deary’s name has often come up. Terry is a very high-profile children’s non-fiction author and there is no doubt that his books have been very effective in engaging many young readers, including my own children. But he’s also been very critical of libraries and teachers, which has made him unpopular with many teachers and librarians – two key groups that a laureate needs to have on side. Hear, hear! Really good idea, Jonathan. My suggestions would have been Andy Seed or Isabel Thomas. There is some brilliant work in non-fiction. It's as though it's having to work harder to make it because the spotlight just isn't on it. And it deserves to be. I always enjoy the lead up to a Laureate announcement. Deep joy. Chris Riddell has been wonderful. Thanks, Michelle. 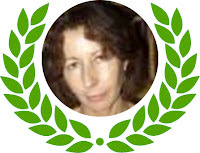 I've read a couple of Isabel's books - 'The Misadventures of Charles Darwin' and 'How to Change the World' – which were both excellent! So I think she's a great suggestion (and Andy was mentioned in the blog). Nicola Davies is a wonderful writer of narrative non-fiction. She is a brilliant communicator, and has all the experience of dealing with the media that would help spread the word outside the children's publishing world as well as within it, which is important for any laureate. 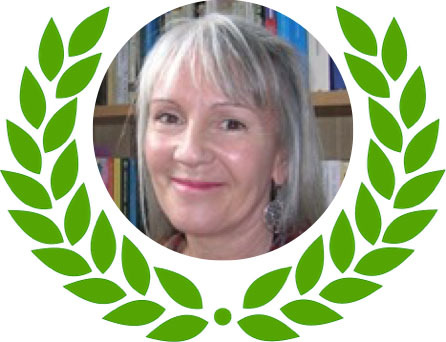 She does amazing work with schools and children and adults, supporting children as readers and writers. I got hold of loads of true story picture books when I was writing mine, and there were some fantastic ones -but like you mention above, almost all of them were American (the Common Core standard in the US education system dictates that a high proportion of primary education texts must be nonfiction picture books) -below is an example of Scholastic setting out loads of different nf titles. But it does mean that there's a massively bigger market in the US for it as schools and libraries have to buy lots of nf titles. I think it could be great to have a nf writer as Children's Laureate here. With my very limited knowledge of UK nonfiction authors, I'd probably go for Nicola Davies. Thanks for the post, Jonathan. I know that a lot of UK primary schools introduce children to NF books, but they are often used as a term topic like "traditional tales" rather than threaded through the whole curriculum as seems to be the case in the US. Educational experts like Phil Jarrett and Keith Topping have suggested the relative scarcity of non-fiction in the UK curriculum may be one of the factors underpinning the literacy gender gap, so it would be great to see non-fiction being used more comprehensively in UK schools. I love Nicola Davies and her work. Her non-fiction impart a lot of info unobtrusively and her work for younger children who are not yet into facts but absorb non-fiction as a story is very good as well. 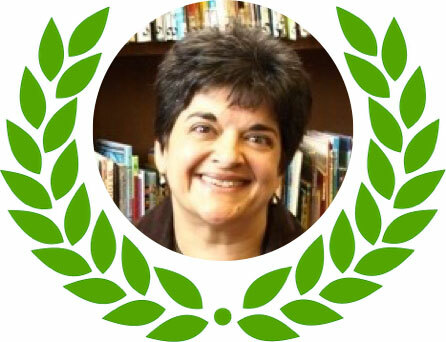 I have the pleasure of meeting her and her passion as a scientist, writer, educator shines through. Even her fiction is socially conscious. My vote is definitely with Nicola. Wonderful idea, but include Kelly Milner Halls among these nominees. 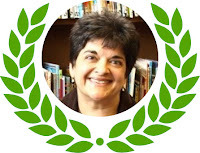 Her nonfiction books have won more readers to the fold than any other I know. Thanks for the suggestion, Sandy. I wasn't familiar with Kelly Milner Halls, so I just checked out her web site. That's an impressive body of work! People have been suggesting names on Twitter as well, including Nicola Davies who suggested John Malam (also suggested by Rebecca C above) and Jackie Morris. Do keep your suggestions coming! If nothing else, you'll be helping to raise awareness of some wonderful non-fiction authors and illustrators. … and Andy Seed suggested Louie Stowell! You're welcome, Richard. The Pirate and Castle Diary books you did with Chris Riddell were a big hit with my son. I'd like to suggest Jenny Vaughan (www.jennypvaughan.co.uk) and Ann Rooney (www.annerooney.com). Both have written loads and loads of non-fiction and really know their stuff when it comes to producing a good, readable non-fiction book. Great suggestions, Lynne. I know that Jenny Vaughan has form as a non-fiction champion and she is quoted in the Guardian article I mentioned to Andy above. I've now added an update to the blog with the suggestions above and a link to some of the responses on Twitter.